Ya know, the last few years seemed to have been a lot more windy than usual. I'm not a great fan of fishing in winds of 25k or more and I know that a lot of my friends feel the same way. It would be great if someone could chime in with some advice. The only advice I could offer is that perhaps we should never speak of wind. Wind would be unheard of. It's a crazy idea I know.... caught wind of it yesterday. Nothing worse than windy days for fishing if you ask me. I have noticed that there are more windy days than calm days; that's for sure. Sometimes I like the wind, sometimes I don't. It can really stack up the fish! I'm not a fan of wind either, I'd rather have rain if I have to have one or the other. I'm fishing from a kayak this year so I added an anchor trolley and picked up a drift sock as well. Hopefully that will give me a way to deal with the wind. You just have to learn to use the wind and not fight it. I don't mind windy days. Its kind of like a challenge. I like a challenge. There is always somewhere you can get out of the wind. Plan your work, work your plan. A guy at work put this together a couple of weeks ago. Data is from Pearson airport. 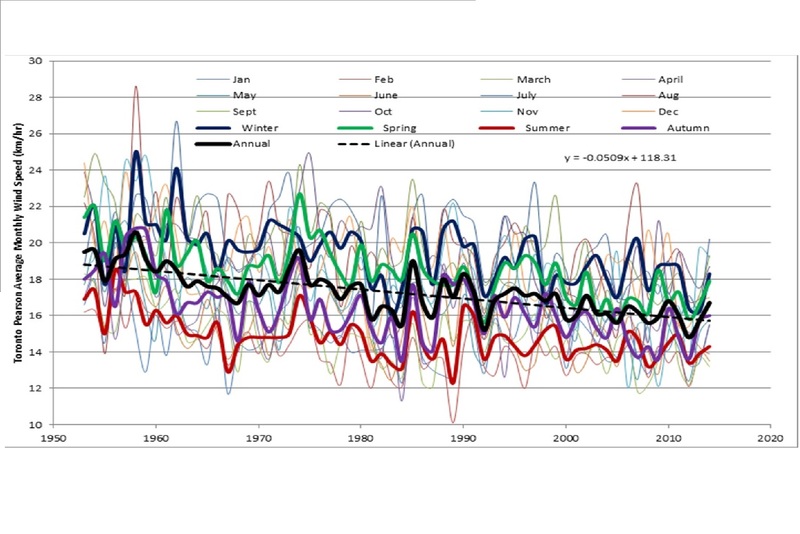 Keep in mind it is average montlhy speeds, not maximums or dailies. I don't mind the wind on some lakes, but it drives me crazy on the shallow weedy lakes. Real tough to fish rice beds in the wind. Finally the cold hard truth about my concept of why Toronto weather is friggin annoying in the winter. I always noticed that it seems to be windy as hell in Toronto all winter and then as soon as its gets stinkin hot and you need a breeze to cool you off mother nature cant even spare a fart to cool you down, Toronto is like a massive dead humid airmass. Sure enough this chart proves exactly what I thought. I gotta laugh at the kawartha anglers that complain about wind, on simcoe and georgian bay, wind is the rule not the exception. Anything under 30kmh during the afternoon in the summer is a nice calm day. Biggest game changer when it come sto wind is having a good spot lock on your trolling motor and subsequently having a powerful enough trolling motor to hold you there. Some of my all time days were the windiest. Bait balls stacked up against a wall with 20+lbs of bass lurking below it. I've learned to just deal will it and use it to my advantage. If its 25KM/hr, I'm not out there unless I am tournament fishing anyway. And, with that in mind, a good trolling motor with spot lock and Advanced autopilot will give you a little more control out there should you want to fish a hump out in the open or troll into the wind at a certain speed. As soon as I get a real boat it seems there are more windy days I can't get out in than ever before. As far as fishing in the wind my only suggestion is cast down wind, that includes relieving yourself, have the wind at your back, your fishing partner will thank you too. Our best Walleye day was last August. It started as a nice Walleye chop that turned into 3 footers. I was ready to pack it up and leave when the fish started hitting. It took everything I had to troll straight and safe. We limited out in about 70 minutes, lost more than a few as we were getting double headers but I couldn't take my hands off the wheel. Oi knows a little about wind, being on Lake Erie.. Not many places to get shelter there.. A lot of fishermen have learned that you should be off the water by noon if you want to stay dry. If you get to the ramp and see the slightest bit of a whitecaps, go home..
We were posting at the same time my fellow Ironmaker.The other way to tell if the lake is turned up beyond the horizon is to look at he height of the water at the dock. If It's higher than normal it is bad out there. 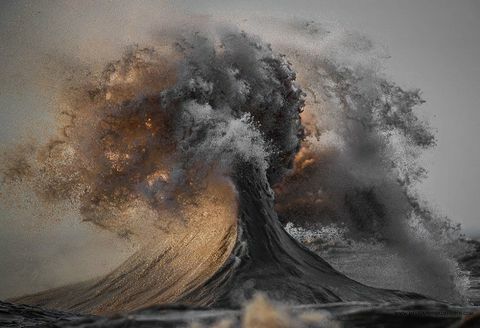 I assume most of you have heard of Dave Sandford, that hardass photographer who takes magnificent pics of a stormy Lake Erie, usually in the fall. I go back just for a look every so often. If you haven't seen them I highly recommend doing a google search, it's well worth it. Wind has always determined what shoreline I am fishing. North or south wind and I'm fishing the east or west shoreline. East or west wind and I'm fishing the north or south shoreline. Lol. This year I finally have a trolling motor so problem solved. I mostly fish a generally shallower area of georgian bay so I know how fast wind can blow it up out there. If I'm shore fishing a strong headwind drives me insane. If it's over 30kph forget about it. From a boat I could careless. As long as it's safe I'll be out their using wind to my advantage. It was nice living 1/2 mile from Lake Erie, I could drive up to the end of the road and see what the lake was really doing before taking the boat out of the garage. I can see Ontario from the end of my driveway and hear if someone squeals a tire on the launch ramp. Calm today but was pretty fierce the last 2 days out of the NE. The wind doesn't bother me.. it's the boat control with a 12v trolling motor that does. I gotta step up to a 24v 80#. Wind would keep me from going out but as wind seems to be an ever growing contant variable i am learning to fish with it. Planning ahead and choosing lake with a higher percentage of fishable water in relarion to wind direction, species to target and tecnique. 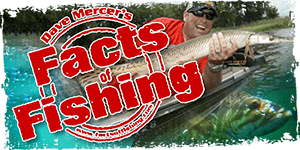 A good trolling motor, anchor(s) and drift sock can assist in holding a particular spot or area. Like anything else , if you do it enough you become accustomed to it and it becomes easier to focus on strikes. I think they call it "Addapting". If you want to fish you will find a way. Always something else to say? Yeah, I went up to 24v and it makes a huge difference, the bow mount keeps me on spot now, it struggled before. 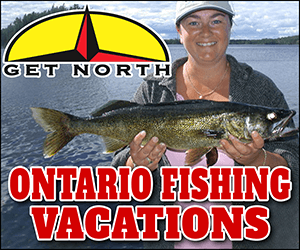 Wind just means I have to plan ahead more....as I only have a 16' boat I avoid having to cross big water, which with my choice of lakes to fish on any given day is not difficult, could see it being a pain if you fish the Great Lakes though. I tend to get more hook ups on the windy days. I pray for 25k tailwinds when fishing from shore. Wind in my face..not so much. Because of that, I have a spot for every wind direction to make sure I’m always casting downwind. The wind is what got me started fishing the Montreal River system. We've been going to the Elk Lake area for a number of years now. Short of severe wind and or lighting storms, you can always go out safely. Want a walleye chop or a calm area to cast, just head to the next bend in the river.